Two in five Canadians say they change the way they speak to avoid swearing in public, according to a new poll. Research Co. asked people across the country about their speaking habits. 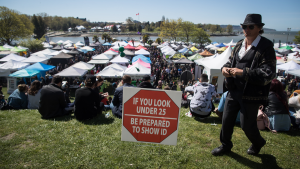 Overall, 38 per cent of those surveyed said they always alter the way they speak in public, including 37 per cent of those in British Columbia. Forty-eight per cent of respondents admitted to sometimes changing how they talk so as to not swear in front of certain people. Only 14 per cent said they never change their speech and aren’t concerned about using foul language. By comparison, just over half of Canadians said they use curse words “frequently or occasionally” when talking to friends, and 68 per cent of those polled reported hearing curse words at the same frequency from friends. A majority also said they heard swearing in conversations with strangers (55 per cent), relatives (53 per cent) and co-workers (52 per cent). The results come after another Research Co. poll last month that found that swearing was the most commonly observed etiquette faux-pas, with a majority of those polled saying they’d witnessed someone use foul language in public in the month before taking the survey. Those numbers where highest in Alberta and lowest in Quebec. According to the more recent poll, Quebecers (43 per cent) were most likely to change the way they speak to avoid curse words, as were those over 55 (42 per cent) and women (40 per cent). 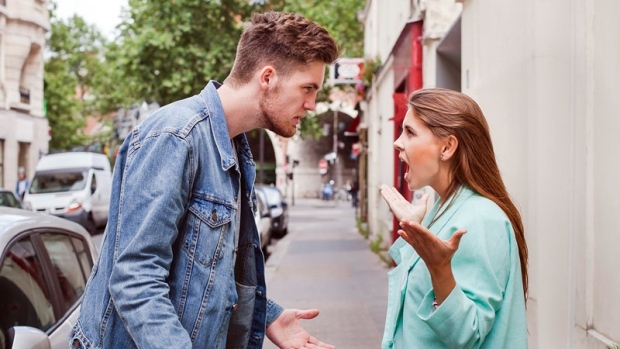 “Significantly smaller proportions of Canadians say they rely on curse words when they are speaking with relatives (40 per cent), co-workers (34 per cent) and strangers (23 per cent),” the report said. Those between the ages of 18 and 34 were more likely to report using curse words overall than any other age group. For that latest poll, the company surveyed 1,000 adult Canadians online between April 4 and 7. The data carries a margin of error of 3.1 per cent. The full data set follows. Viewing this on our mobile beta site? Tap here to see a compatible version.